As we take the time to give thanks for what we have and the people we have in our lives, let’s not forget the small guys in our mouth. Without our teeth, we wouldn’t be able to enjoy Grandma’s turkey or Mom’s macaroni. We wouldn’t even be able to talk the way we do. Today, we change that. 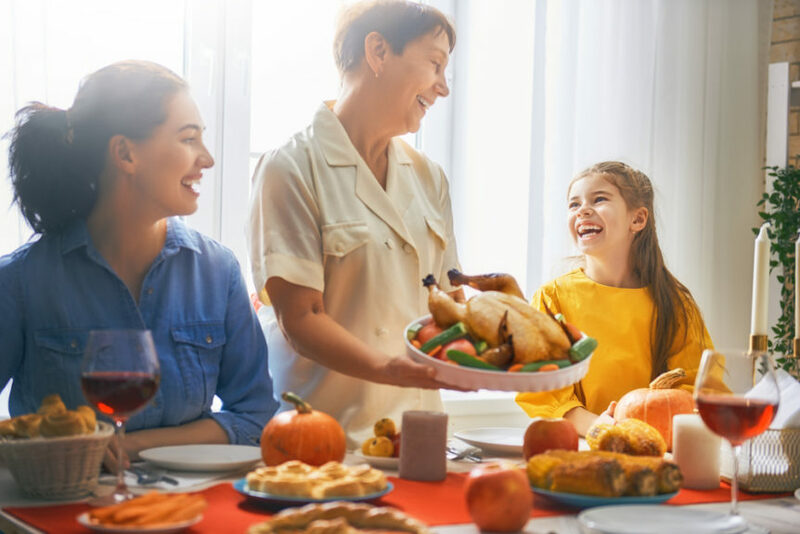 Here are 4 reasons to be thankful for your teeth this Thanksgiving. While extremely situational, permanent teeth that have been completely pulled out can be re-implanted straight away. However, there are a few caveats. For one, it must be implanted within an hour of it coming out. If you don’t think you can make it to a dentist in an hour, drop your tooth in some milk or your own saliva until it can be implanted. Second, be sure to never handle the tooth by its root. Make sure to keep all of your touching on the crown of the tooth. Finally, you shouldn’t scrub, wash, or brush the tooth. Leave it in the same state it was in once it was pulled out or you risk damaging it. Sounds pointless, but once you consider the fact that more than 5 million teeth are knocked out a year this is a fact you’ll definitely be thankful to know about your teeth. Your enamel is the outermost layer of your teeth. Its primary purpose is to protect the rest of your tooth. The enamel is predominately made of calcium and phosphate, but it’s stronger than your bones because of the specific proteins and crystallites that form it. Tooth enamel is so strong it can withstand a bite force as high as 1000 N and an average of 200 lbs. of pressure. While this prompts us to want to use our teeth for more than just eating, this is one of the worst habits when it comes to preserving healthy teeth. It’s best to stick to using our teeth for enjoying a Thanksgiving feast instead of pulling apart hard to open packaging. Dentin is the layer that lies beneath the enamel, and it’s also harder than your bones. Dentin is made up of small channels and passageways that transmit nerve signals and nutrition through the tooth. There are three types of dentin: primary, secondary, and reparative. While the enamel stops growing and can degenerate over time, dentin continues to grow and change throughout your life. Dentin is sure to help your teeth absorb the nutrients from your aunt’s signature broccoli casserole. Arguably one of the best things to be grateful for is not having to deal with wisdom teeth. Experts speculate the cause dates back thousands of years ago when a random mutation suppressed the development of wisdom teeth. One study even found at least 53 percent of people had at least one wisdom tooth come in. You can count your blessings if you happen to be one of the small minority of individuals who never had to deal with the agony of a wisdom tooth forcing its way into your jaw. Teeth are an amazing gift to have. Especially around this time of year when it’s all about eating. As such, we can imagine how annoying and painful it can be when you start having issues with your teeth before the feasts of the holiday season. If you are experiencing tooth pain or just looking to come in for a check-up contact Cosmetic Dentistry of Las Colinas and book an appointment. It could make all the difference when enjoying food this holiday season.